Jack Curtis enjoys the distinction of being the very first Troop 1 Stow Eagle Scout to receive his award under the regime of John Paul Benoit, way back in 199o. 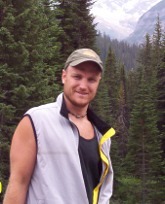 Jack attended Northeastern University and graduated with a degree in Physical Therapy. He currently works as a personal trainer and a physical therapist in Brockton, Massachusetts. Jack is a two-time TOSA Decathlon champion, although it should be noted that his victories ocurred only after the original champion lost interest.